Here’s a list of web hosting companies in India with local data centers. 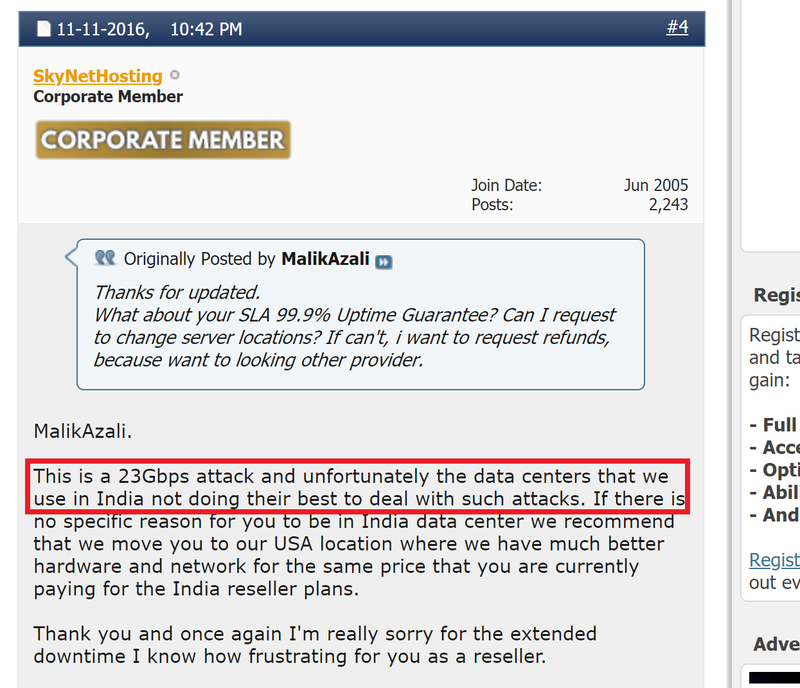 When I say, “Indian web hosts”, I mean those companies that give you actual servers in India. Many sites on the Internet try and market SiteGround, InMotion etc as Indian web hosting companies, but this is false. Those firms might have multiple data centers around the world (especially SiteGround), but they don’t actually own Indian datacenters. There are many good reasons to choose an Indian web hosting provider. But you should also be aware of the downsides. Datacenters require a lot of maintenance and care. They need a specific environment with state of the art systems for security, redundancy, cleanliness and operations. Dust free environments, regular checkups, audits, redundant network connections, maintenance of hardware, strict schedules and security. In addition, they need to be built in such a way that natural events have zero impact on their operations. Many datacenters in the US for example are built to withstand a missile strike! The entire stack of operations from the building materials, the design, the HR etc are geared towards maximum protection and reliability. There need to be multiple incoming and outgoing network connections to ensure that if one goes down, the others can easily pick up this slack. The Indian infrastructure simply cannot provide this level of quality. Indian datacenters simply don’t have this level of preparedness. They’re a lot more fragile than their US and Europe counterparts. Even regular weather events like cyclones can make them fail. For example, DigitalOcean – one of the largest web hosting providers in the world – opened a datacenter in Bangalore. But cyclone Vardah damaged the undersea fiber optic cables for the Chennai region, causing huge latency and packet loss. This isn’t an isolated event. India simply doesn’t have the necessary infrastructure and dedication to have world class data centers on par with its US and European counterparts. And it doesn’t matter how good the intentions of the hosting company are – the external infrastructure like network cables and power systems are out of their control. All Indian Web Hosts are Colocated – NOT Ideal! There are plenty of data centers in India. But none of them are exclusively owned by a private web hosting company. I can only assume because there’s not enough business to justify an exclusive data center just for web hosting customers. Instead, Indian datacenters are colocated. This means that a single company rents out server space to 3rd parties who then provide hosting services to their own clients. It allows cost savings for Indian web hosts who can’t afford the overhead of an entire data center on their own. It means that web hosting companies in India don’t have direct control over their servers. They have to rely on ticket support from the datacenter owners who may or may not respond efficiently. The difference is seen when you have an emergency, and your web hosting provider is unable to handle the problem immediately on their own. In fact, they actively recommended the user to migrate to their US servers! That’s a wonderful vote of confidence! Unless for legal reasons you absolutely need web hosting in India, I suggest you choose a hosting provider with Singapore datacenters. Singapore is much better suited for datacenters than India. And if you have to choose India, go with Hostgator India (click here for Hostgator India discount coupons). EIG stands for “Endurance International Group”, and they’re a massive global conglomerate consisting of hundreds of web hosting companies. Their speed of acquisition is breathtaking. Many of the big hosting companies like Hostgator and Bluehost are under their umbrella. In web hosting circles, you’ll often see advice like “Avoid EIG at all costs!” or “EIG ruins the companies that it takes over”. This mantra has become common wisdom, and it may or may not be true in developed countries like the US and in Europe. But it’s not true in India. In other countries, there is no shortage of web hosting providers who own their own datacenters. SiteGround, DreamHost, InMotion, and A2 Hosting all operate privately owned datacenters. There’s no colocation, and these companies are large enough to be able to afford it. So EIG doesn’t have much of an edge in this regard. But in India, I feel that EIG is the only company to have the resources to leverage its power and truly “own” its servers more than any other web hosting provider. Mind you, this doesn’t mean it has private datacenters. It uses GPX Global Systems datacenters in Mumbai – a Tier IV provider. But EIG’s money power and size give it a huge advantage in the hardware space that other hosting providers simply cannot match. So in the Indian context, my opinion is that Hostgator India (click here for a review) and to a lesser extent, Bluehost India are the best choices for hosting. Yes, they’re owned by EIG. But they also have the size and money to purchase the best datacenter locations and retain as much control over their servers as possible. Given the bad quality of Indian colocated datacenters, I feel that Hostgator India is the best overall choice right now – at least until we have Indian web hosts who start owning and operating their own private data centers. What about milesweb??? Is that good??? No idea. But unless you really need hosting in India, I suggest you try for Singapore instead. It’s almost as close, and the infrastructure is much better. Moreover, always choose a web host who owns their own datacenters instead of colocating. SiteGround has datacenters in Singapore that they own, so that’s my recommendation. Or if you really want India based hosting, then Hostgator India is your choice. They’re part of EIG, which some people say is a problem, but in my opinion, is a feature. They’re large enough to exert significant influence over their datacenters, so for me, it’s the only real choice for India based hosting.